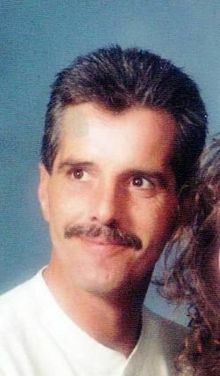 Danny C. Stewart, 51, of Leicester passed away on Wednesday, July 29, 2009 at Mission Hospital. He was the son of the late Frances and Charles Stewart. He was also preceded in death by a brother, Alan Stewart. Danny loved the Lord and was his faithful servant. He was a man of many talents. There was not a task he could not complete. Survivors include his two daughters, Christina Stewart of Hendersonville, Heidi Beshers and husband John of Leicester, four sons, Zeb Stewart and wife Vicki of TN, Chris Stewart of TN, Brent Stewart of Asheville and Blake Stewart of SC, long-time companion, Bonnie Bond, brother, Gary Stewart of AR, two sisters, Jeanie Butler of Canton and Denise Mullen of Asheville and 8 grandchildren. A memorial service will be held 3pm on Sunday in the Chapel of Faith at Forest Lawn with Pastor Roger Lunsford officiating. The family will receive friends in the chapel and hour prior to the service. To sign Mr. Stewart's online register book please visit www.moorefh.net.